Potassium is generally considered as an essential mineral for proper body functioning. But aside from ingesting potassium rich foods to maintain one’s health, potassium is also used in a variety of ways. 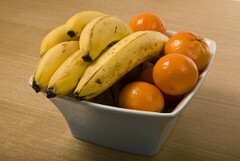 Stop minding the calories in a banana and other potassium-rich foods. Instead, get a load of all these other cool ways in which potassium is used! Potassium is great for fertilizers! Grow your plants in potassium-rich soil and see the difference! The potassium ions are essential for nutrition of plants. Additionally, potassium chloride, potassium nitrate and potassium sulfate are very useful in the fields of agriculture, hydroponics and horticulture. If you want glass for your windows that is stronger and can withstand more pressure, then look for toughened glass! It’s made with potassium nitrate so it’s extra durable! For heart surgeons, potassium chloride is vital when performing surgeries. It is used to stop the heart when needed during situations that call for it and then subsequent resuscitation. It also a compound used in lethal injections. Superoxide KO2, which is potassium and oxygen combines, is used in submarines and spacecrafts! It is used for life support. It is how oxygen is supplied to the people inside the crafts. Gold and silver miners also have a use for potassium when they venture into their gold mines. Potassium cyanide is used in extracting gold and silver minerals during gold mining operations. Potassium isn’t all about food or health. It’s also useful in a number of strange and unexpected ways!